The competition catch can extension is an upgrade specifically for customers who have the CCC short version (Radium 20-0072). It includes a O-ringed anodized aluminum section that screws into the center of the existing catch can. This will increase the volume of the catch can to 1 quart. 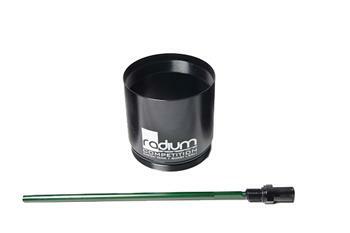 The Radium logo is laser etched on both sides of the canister.